This new addition for our people movers in 2011 is proving very popular, it seats 8 including the driver and also has excellent luggage space behind the rear seats. 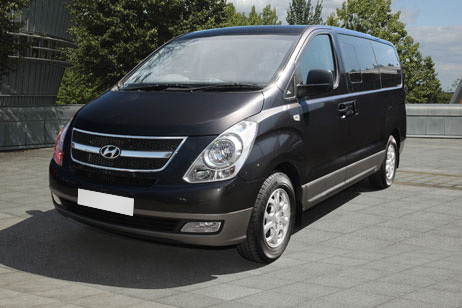 With its fuel efficient engine and compact driving style it makes it ideal for large family holidays. 100 miles free per day or 1000 miles per week excess mileage charged at 8p plus vat per mile. Weekend rate available from 8.30am Saturday to 8.30am Monday.